Give a gift of love to the ones that are undergoing radiation therapy. 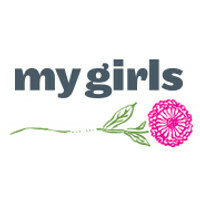 My Girls™ Skin Care Cream is a plant-based, calendula cream made for people who want fragrance and dye-free products without the toxic chemicals. Because of its special plant-based, calendula formula that also contains rosemary, it is used by people who undergo radiation therapy and want to maintain the healthy appearance of their skin, avoid delays in treatment and other potential side effects that may affect quality of life. Radiation therapy can compromise skin and may cause it to become delicate and extremely dry. My Girls™ creamy texture has been compared to whipped cream and spreads easily over compromised skin without leaving greasy residue that may stain clothing. It is often used as a facial and body moisturizer after treatment ends. My Girls™ absorbs quickly and contains many key ingredients known for their helpful benefits on the skin; Calendula Officianalis Extract or marigold, Rosemary, Coconut Oil, Honey, Beeswax, Jojoba Oil...all recognized as excellent topical agents to help maintain healthy skin.